The pre-purchase period has ended, but Blackrock Mountain is now live! The time for adventure draws nigh! Soon, Blackrock Mountain will open to all those brave enough to enter and do battle against the fiery foes within! 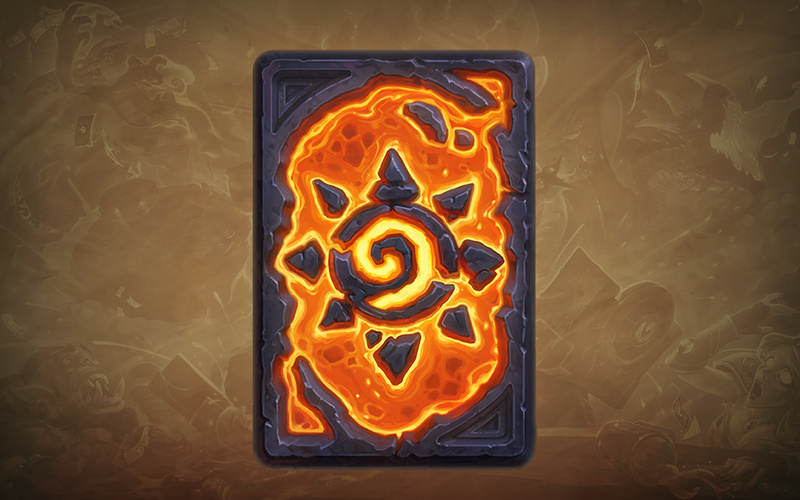 Pre-purchase Hearthstone’s second adventure Blackrock Mountain and gain immediate access to the Molten Core card back. 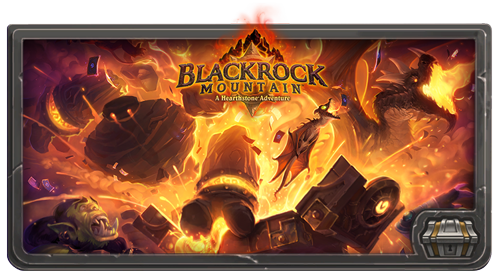 This red-hot card back can only be obtained by pre-purchasing the Blackrock Mountain adventure with out-of-game currency, including real life money, iTunes® balance and Google Play™ balance. For AUD pricing, click here. Charge into the fray the second each wing of Blackrock Mountain becomes available! 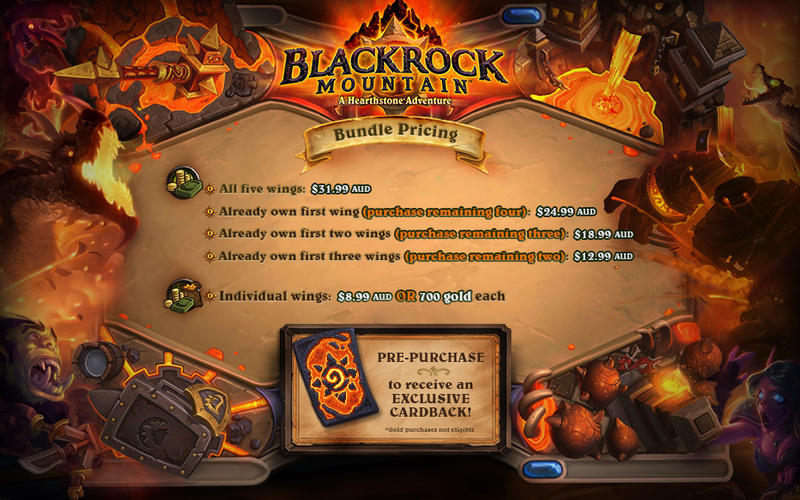 Pre-purchasing Blackrock Mountain ensures that you’ll have access to each of the wings just as soon as it becomes available in your region. 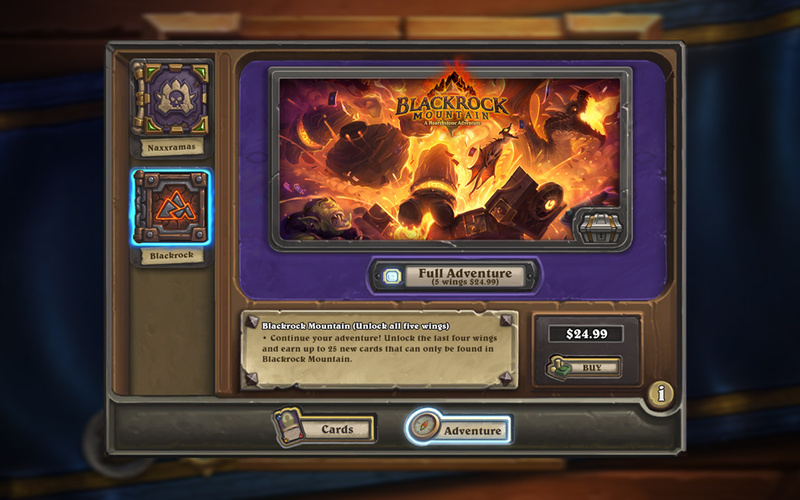 The Blackrock Mountain adventure costs $24.99 USD ($31.99 AUD) to pre-purchase, and can be found in Hearthstone’s in-game shop. 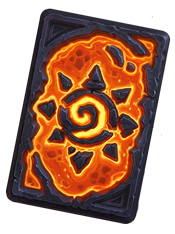 Don’t forget to equip the blazing Molten Core card back once you’ve pre-purchased the adventure!